RCS is celebrating its first anniversary with a special honor. The California Public Utilities Commission (CPUC) has recently awarded the traffic control company its Women’s Business Enterprise certification. In order to qualify for a women-owned business (WBE) designation, an enterprise must be a business at least 51% owned by one or more women. In addition, the company’s management and daily business operations must be controlled by one or more women. A business is required to apply for certification, which typically is awarded within 45 days. It is valid for three years. RCS owners Michelle Staley and Valerie Santone couldn’t be more pleased. As they see it, the certification is a definite asset for their expanding traffic control enterprise. The distinction clearly demonstrates compliance with many of CPUC’s regulatory mandates regarding Disadvantaged Business Enterprises subcontractor participation. While the WBE is in and of itself a feather in the company’s cap, the recognition offers a number of practical advantages to a certified company such as RCS. Substantial PR value is one of the most obvious. Certification sends a clear signal to the public that an enterprise meets certain requirements. The WBE designation also opens the door to a wide variety of opportunities. A number of grants, loans, and other monetary awards are available specifically to women-owned businesses. Such funding can be vital for a company’s continued growth and expansion. 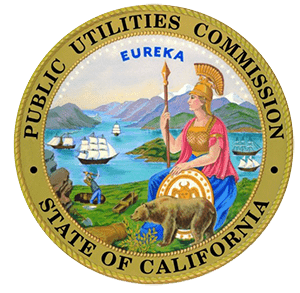 By regulating privately-owned electric, natural gas, railroad, public transit, and other types of enterprises, the CPUC strives to protect consumers. Awarding WEB certification to RCS is a clear recognition of the traffic control company’s undeniable benefit to the public. Distinctions such as WBE certification vividly reinforce the company’s reputation for unsurpassed service. Contact Roadway Construction Services to learn why they set the standard in the traffic control service, planning, and permitting industry.